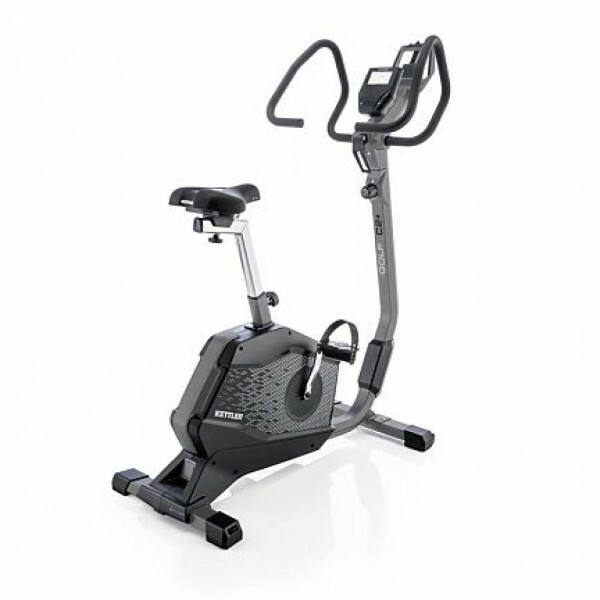 Compared to the Kettler Golf C2, the Kettler upright bike Golf C2 Plus features some additional detail solutions. Thanks to the multi-functional handlebar, you get many further grip possibilities and you sit very comfortably on the new 3D gel saddle. Due to the versatile adjusting possibilities, you can ideally set your sitting position and do a very ergonomic training. Via a control knob you can easily adjust the resistance. Offering up to eight different resistances, you can adjust the training intensity to your requirements and do a specific training. The LCD display informs you about all important training data like distance, time, and heart rate. At the end, you training is evaluated with a fitness mark and gives you an indicator and helps you to improve your state of fitness and health with a regular training. Como ya teníamos una cinta de correr Kettler, queríamos una bicicleta de esta marca. La verdad es que seguiremos confiando en ella! La bicicleta es muy cómoda para el entrenamiento en casa y además a penas hace ruido. Va genial y es muy fácil de usar. Le damos 5 estrellas! Wie gewohnt eine Top Qualität von Kettler. Man sitzt sehr bequem und hat viele Griffmöglichkeiten. Die Konsole ist gut ablesbar ein einfach zu bedienen. Außerdem ist das Gerät nahezu geräuschlos was uns ebenfalls sehr gut gefällt. Und es sieht auch wirklich schick aus. Für ein Einstiegsgerät absolut empfehelenswert. Kettler upright bike Golf C2 Plus add to comparison list.